Last month I posted a story on a smart dressing room trial at New York’s Bloomingdale’s, reported in the New York Times. Meanwhile the San Jose Mercury News provides some more depth on the prototype and introduces another one. 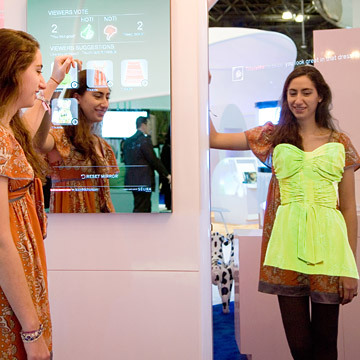 The article then delves into the question why prior efforts to install technologies in fitting rooms have faltered, and what shoppers “really” want. Note that the Cisco website contains a whole lot of information on technological solutions to improve the customer experience, including an August 2006 benchmark study (pdf, 488 kb, 10 pages), a January 2007 brochure on in-store media solutions (pdf, 768 kb, 4 pages), a March 2007 newsletter on retail trends (pdf, 148 kb, 3 pages), and many videos.